Why do we fast leaven for a week after Passover? 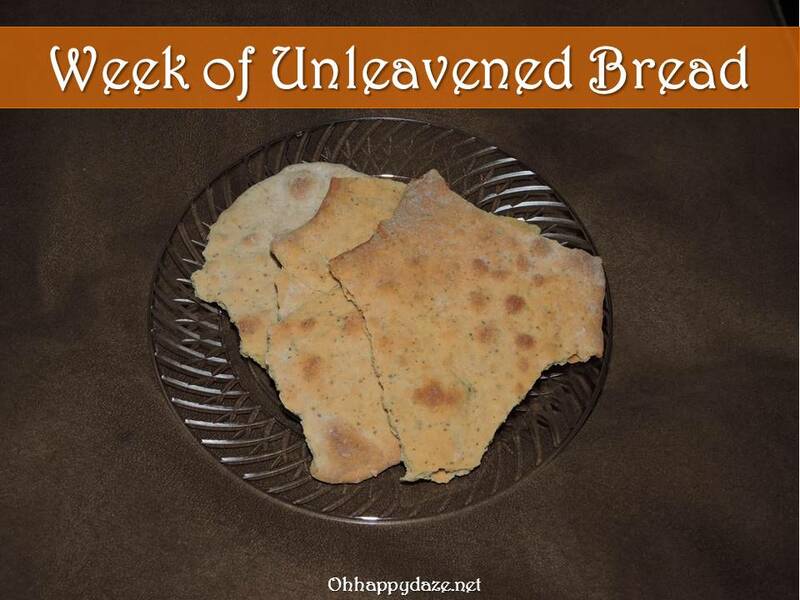 The literal… When preparing for the Week of Unleavened Bread, leavening agents, such as yeast, is removed from the home. Most of our foods have a leavening agents in them in some form or another. This is a very tedious job to completely remove leaven from our home (even for a week.) We have to go through every cabinet, pantry, refrigerator, and freezer, one item at a time reading the ingredients to see if there is any leavening in each and every food item. We are very vigilant and constantly having to inspect every food we bring into the home during the week of Unleavened Bread to make sure that it does not have any leaven in it. And going out to eat is near impossible during this week. We take all leavened foods out of our house to keep the temptations down and to avoid accidental consumption from happening so we can remain obedient to God. The spiritual… Leaven represents sin. We must be willing to look closely at our lives, at the things in our life, at the people in our life, all the things that make up our way of life, inspect it and see if there is any sin or “leaven” present. We must remain vigilant and constantly inspecting everything we do, think, say, or even come in contact with to make sure it does not cause us to sin, tempts us to sin, even accidentally. By fasting leaven for a week we remember just how adamant we to be about keeping sin far from us. This has been a totally crazy week. I wish it was an easy week and maybe I would not have messed up but frankly it just was a hard week. Thankfully, God protected him and the other man from any major injury! Hubby only had a banged up shin and pulled muscles in his back and chest, nothing I couldn’t treat on my own at home. Of course as soon as I got the call, I stopped schooling and rushed to the scene of the accident. We spent over an hour there just talking to the cop and getting the Jeep towed home. We had to call insurance companies, postal people, and union reps all the while worrying if hubby still had a job because the postal service has a bad reputation about firing people who have accidents. After all that had happened that day I just did not want to cook dinner. So we purchased already prepared chicken from the local store and I grabbed a couple of side dishes to quickly throw together. I was tired and honestly, the last thing on my mind was if there was leaven in our food. I fed my family and went about our evening of trying to get hubby’s shin to quit stinging from the nerves being aggravated by the swelling and bruise where his shin hit the Jeep console. That night, I finally laid down, thanked God again for protecting my husband and… my stomach started churning. Ever since I started eating Biblically clean, any time I mess up by eating what I should not have, whether it be hidden pork fat in refried beans or (now) eating leaven during unleavened bread week, God allows forbidden foods to cause me major intestinal upset. Sure enough, I knew I messed up with the side dish I chose for dinner. I know God uses this “punishment” of tummy trouble to teach me and I am quite frankly honored that He teaches me. Even when life is crazy and hectic, when you do not want to think about what issues you may have in your life or what you may be doing that is sinful.. even when life has just dumped a truck load of lemons on you, as a child of the Most High you MUST remain vigilant and on guard, even when you do not feel like it because the first chance you let your guard down, sin enters the door. And sin wreaks havoc within! Posted on April 11, 2015, in Faith, Feast Days, Hebrew Roots and tagged Unleavened Bread. Bookmark the permalink. Leave a comment.